The views of houses or villas are the first mirror to reflect the compatibility, homogeneity and sound thought of the architect who designed it. It is an important and essential part of the building design. It is the visible part of the architectural work. Building success or failure. 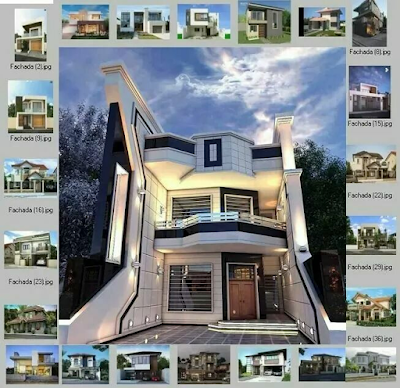 The facade of your home is the title and the most important characteristic of the exterior, when you should choose a facade that highlights the beauty of its design .. So I invite you to discover designs for villas and houses and houses from the outside, the façades of houses and villas decorated with modern modern, the most beautiful villas and luxurious homes, decor outside villas and palaces.